You know what’s handy? Waking up in the morning, firing up your phone/computer and being able to scan a super quick (but curated) rundown of the best of what lies ahead. So here it is, our list of fun things to do in Los Angeles for today, Friday, April 12, 2019. 2. [1 p.m.] LA Art Book Fair takes over The Geffen Contemporary at MOCA April 11-14 providing artists a platform to display their books, art catalogs, zines, and more. The event is free and open to the public from April 12-14. Opening night takes place on April 11 where tickets cost $20 and comes with a limited edition work by artist Jeffrey Cheung of Unity Press and a special musical performance. 3. [6 p.m.] MONSTERPALOOZA 2019 returns to the Pasadena Convention Center April 12 – 14 to celebrate the art of monsters and movie magic. Over this three-day affair, attendees have the opportunity to meet the award-winning creature creators from feature films, television and the haunt industry, plus loads of panels, presentations, tutorials and exhibits to browse. 4. [6 p.m.] Damn Good Shindig recently opened “Fire and Ice Tavern” at the Scum and Villainy Cantina in Hollywood. In honor of the final season of Game of Thrones they’ll be throwing an immersive experience featuring a costume contest, drink specials, comedic episode recaps, Iron Throne photo op, live music, and more. 6. [7 p.m.] Alcove & Big Bar are hosting an epic Game of Thrones party transforming their multiple patio and interior spaces into Westeros and beyond. 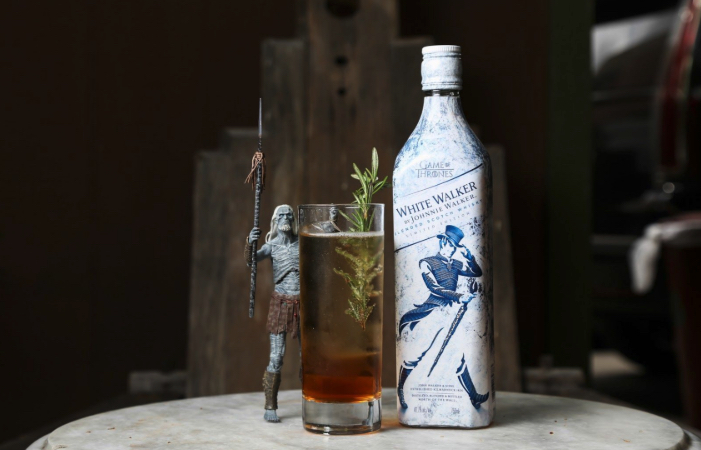 GOT fans should be prepared for a night filled with immersive experiences, entertainment, cocktail and food. 8. [8 p.m.] Los Angeles Dance Festival brings attention to the best contemporary dance in our city. Partnering with the Luckman Fine Arts Complex and California State University, Los Angeles this year, the month long curated programs feature a wide range of concert dance. 9. [various] I want to live in your mouth is a a new, immersive horror experience at Zombie Joe’s Underground theater in North Hollywood, specifically designed for an audience of one (if you’re daring enough!). Performances run Thursday to Sunday through May 5.